Although John and I haven't moved into our new home yet, you better believe that I've been spending wayyy too much time looking at furniture and reading reviews. 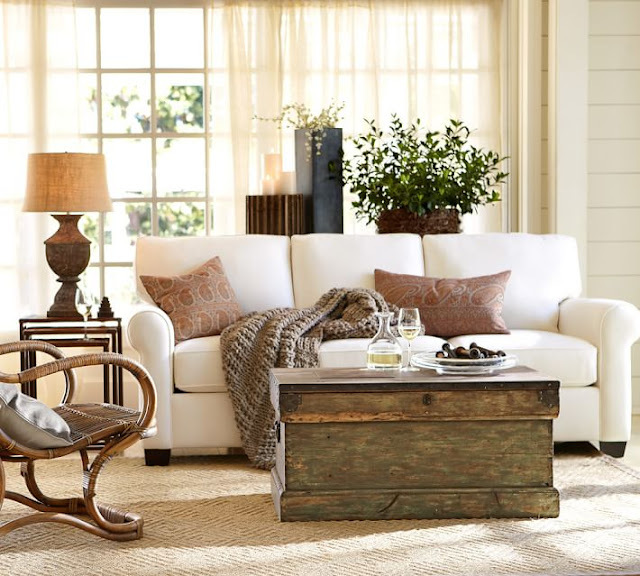 First on our "to-purchase" list are two white (or stone, perhaps) sofas for our living room. We want to make sure that we are purchasing sofas that will be long lasting and durable without spending a fortune (I will not get sucked into Ikea, I will not get sucked into Ikea, I will not get sucked into Ikea!!). Here are 10 white (or stone) sofas that I will be considering! Love all of these! I suggest looking into Basset sofas if you are considering prices like the Pottery Barn ones. For ours, we were able to customize the color, cushions, legs, etc and its such a comfy couch! They are all gorgeous! I am leaning towards the last one. I like the shape and price point! They are all pretty but I really like both of your Pier one options. I don't know what the reviews are like but I always heard that Pottery Barn furniture doesn't wear well despite the price tag. 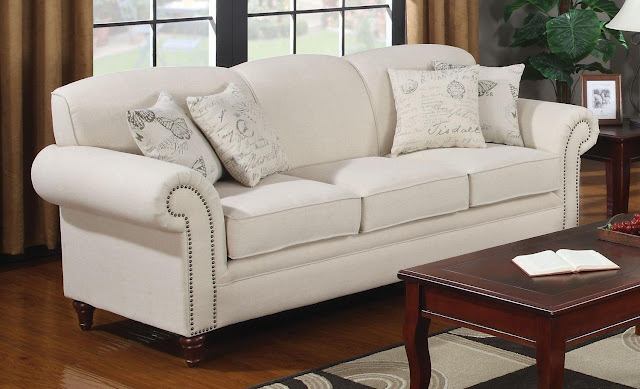 This post could not have come at a better time - we're finally buying new couches this fall! I'm obsessed with them all, but am leaning towards the Wayfair TOV... great price and reviews! Lovely!! 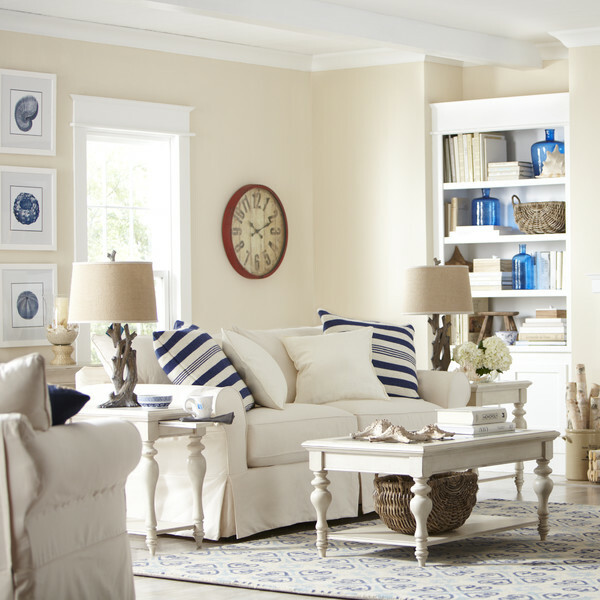 I like Birch Lane one, the second I think. Just no spilling of the red wine! I LOVE your choices! Make sure you Scotchguard them! I have white linen chairs at my kitchen table and I used it on them. It is a miracle product! Red wine will just bead up and roll off. LOVE the kerry sofa! We have a white/stone sectional from Lazy Boy (you would never know it was lazy boy). I absolutely love it and would purchase it again, but it's about $2,500. Happy Shopping. Love these sofa's! PB always gets me... can't wait to see the new house! I can't wait to see the new house! They are all gorgeous. I don't know how I'd choose. I'm going to need to come to you for furniture advice in the future :) Good luck with everything. I would die for a whit me sofa! Really love all of your choices and the prices seem perfect! Joe sally's we already have too much white in the house for a guy who works in dirt all day and a pug that licks his paws too much! Lol! Such a classy looking piece though! All so pretty! Love that the Wayfair one is both pretty and a good price! Your house is going to be so nice :) We could never do white because of our dogs :-p I think white is so pretty though. On the Move: Texas or bust!